I acted on an impulse and bought shares of a stock that wouldn't pass DivGro's selection criteria. In fact, I looked at the stock chart and based on what I saw, I decided to buy shares worth more than double the amount I usually spend on buys. Before founding DivGro in January 2013 and subscribing to the philosophy of dividend growth investing, I was an avid trader. I looked at technicals and ignored fundamentals. I studied stock charts and trends, trying to determine the best entry points and looking for patterns that would suggest future price action. In July I celebrated adding 3 more home runs to DivGro. One of those home runs were Digital Realty Trust, Inc (DLR), a publicly-traded U.S. real estate investment trusts (REITs) that owns, acquires, repositions and manages technology-related real estate. DLR's performance has been spectacular. The share price more than doubled from my buy price, though lately the REIT has pulled back to a just under $100 per share. DLR now yields 3.54%, much less than my initial yield on cost (YoC) of 6.30%. While DLR has paid and increased its dividend for 12 years running, dividend growth has slowed in recent years. It is hard to say goodbye to a winner, so I'll just say good buy and move along! This article is the first in a new series of articles about my options trades in DivGro. Some readers may not be interested in options, so they can just skip these articles. Others may be interested in learning about options or just following along. And I'm sure there are several dividend growth investors, who, like myself, are interested in boosting dividend income with options trades. As for myself, this series will help me to track my options trades and to learn more about options. Certainly, some of the learning will come from research I do before writing articles, but I hope I'll also learn from questions and comments from those readers that share my interest in options trading. I've parted ways with Deere & Company (NYSE:DE). The company has paid the same quarterly dividend of 60¢ per share for 9 straight quarters. While this does not constitute a dividend freeze, yet, I have some concerns about the company's fundamentals. Last week, DE announced Q3 earnings and the results reflect continued weakening in difficult construction and farming markets. Last Friday, shares spiked up about 13% to over $87 per share after DE posted an earnings surprise and guiding higher for fiscal year 2016. While EPS (earnings per share) for Q3 of $1.55 beat the consensus forecast by 61¢ per share, revenue dropped 11% from the year-ago quarter. Aggressive cost cuts and share buy backs helped DE increase EPS by 2¢ from $1.53 in Q3 2015. The market's response to DE's less bad news gives me an opportunity to exit my DE position at a slight gain. I'm happy to be out of this position – DE is now going for 22.7 times next year's earnings, a significantly inflated earnings multiple for a company with declining revenues. Cisco Systems, Inc (CSCO) designs, manufactures, and sells internet protocol-based products and services and delivers integrated solutions to develop and connect networks around the world. The company serves businesses of various sizes, public institutions, governments, and communications service providers. CSCO sells its products directly, as well as through channel partners, such as systems integrators, service providers, other resellers, and distributors. The company was founded in 1984 and is headquartered in San Jose, California. The stock is a Dividend Challenger with a track record of 6 consecutive years of dividend increases and a 3-year dividend growth rate of 31.6%. CSCO pays quarterly dividends of 26¢ per share in the months of January, April, July and October. Companies that regularly increase dividends show confidence in future earnings growth potential. Recently, 9 companies on my watch list decided to increase their dividends. Regular readers will know that I'm busy preparing DivGro for options trading. I'm hoping to boost dividend income by selling call options against stock I own. The strategy is called covered call writing – typically, you sell one contract for every 100 shares you own and collect an option premium in return. In the past 2 months, I've been closing some DivGro positions and using the cash to round out the number of shares of other DivGro positions. The idea is to own 100 shares (or multiples of 100 shares) of stocks so I can sell call options on these stocks and boost my dividend income. Recently, I bought additional shares of 3 stocks and increased my share count to 100 shares, making these stocks eligible for options trades. Last month I closed several positions so I could round out the number of shares of some DivGro positions to 100 (or multiples of 100). The reason for doing so is to prepare DivGro for options trading. Each option controls 100 shares, so I would need to own at least 100 shares of a stock before entering into an options trade. Today I'm reporting 3 additional round out trades. I'm increasing the number of shares of 3 DivGro holdings to 100 shares, making them eligible for options trading. With the markets trading at record highs, most of the stocks in my portfolio are trading at a premium. Its not a great time to buy, but I'm biting the bullet and buying shares even at a premium to fair value. Every month I rank a selection of David Fish's CCC stocks to identify top candidates worthy of further analysis. I trim the CCC list of more than 750 stock to a more manageable number of candidates. Using different screens every month ensures some variation. I rank the remaining stocks using a multi-stage dividend discount model and fundamental analysis, and assign a 7-star rating to the top 10 ranked stocks. This article reveals the top 10 ranked stocks for August. Companies that regularly raise their dividend payments show confidence in future earnings growth potential. One way to identify dividend growth stocks for further analysis is to monitor dividend increases. In the last week, 9 companies on my watch list announced dividend increases. Companies that regularly raise dividends show confidence in the potential growth of future earnings. Monitoring dividend increases for stocks on my watch is one way to identify candidates for further analysis. 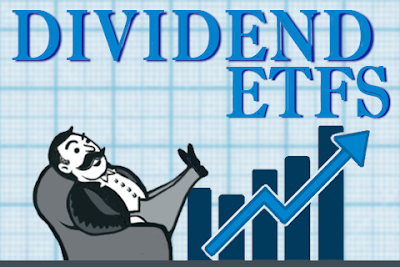 This past week, 13 companies on my watch list declared dividend increases, including 2 of the stocks I own. One of my goals this year is to find opportunities to boost dividend income with options. Writing or selling covered calls is a safe way to earn extra income on top of the dividend income you already receive just for owning dividend paying stocks. You can sell one contract for every 100 shares you own and collect an option premium in return. I closed nine positions this month and reduced my position in one stock trading well above fair value. The main reason for selling so many stocks is to collect cash for round out buys. With the markets trading near all-time highs, it is a good time for selling, but not for buying! With more sells than buys this month, DivGro's projected annual dividend income (PADI) took a little nosedive. Fortunately, I'm still ahead of schedule goal-wise. In fact, I'm quite sure that I'll reach my $12,000 target before year's end.